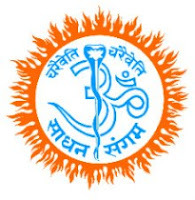 Sadhana Sangama Trust is a registered Non-Profit Organisation established in the year 1986 in Bengaluru, India. It is guided by the teaching of the great Himalayan Yogi, Swami Rama, the author of the classic “Living with the Himalayan Masters”, with the vision and mission of creating a healthy, harmonious and happy society through appropriate integration of yoga, music, dance, art and holistic living in a practical way to suit modern times. Since its inception, the Trust has touched and transformed the lives of thousands in India and Abroad, through its scientific, innovative and thought stimulating activities.